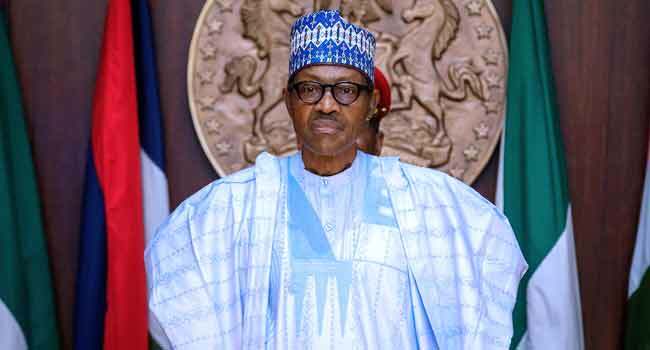 President Muhammadu Buhari has ordered the deployment of officials of the Nigerian Security and Civil Defense Corps (NSCDC) to secure secondary schools in the northeast region. This is part of efforts to provide more security for students and the community at large, following the abduction of over 100 girls from the Government Girls Science Technical College (GGSTC) in Dapchi, Yobe state, about a month ago. The Commandant General of the NSCDC Mohammadu Abdullahi, on Saturday, commenced the tour with Adamawa state. On arriving at the Government Girls Secondary School Gombi in Gombi local government area, the Commandant General expressed shock that the school which has been in existence since 1976, had no fence. He also visited the Government Secondary School Hong in Hong local government area of the state, where he interacted with the students and principals and noted some of their complaints. “My call to the state government is to intervene especially in terms of feeding, since it is a boarding school. The students are supposed to be fed thrice if it is possible and also the fencing of the school,” one of the schools’ principal said. In response, the NSCDC boss said: “The President has said we should come and provide security. What happened in Chibok and Dapchi, should not happen here. “That is why we have sent our men to come and guard here. We have our men in front of your schools with their arms 24 hours so that you will study under a very conducive and secure atmosphere. Your principal has told us the little problems you have, I’ll make sure that it is addressed,” he assured the students. Addressing journalists after the tour, Abdullahi decried the poor state of the schools but however, promised to report back to the President and ensure all their complaints are resolved. This comes weeks after President Buhari ordered the Inspector General of Police Ibrahim Idris (On January 9) to relocate to Benue state following attacks by killer herdsmen which has left hundreds dead. Things, however, took a different turn when the President who was visiting the state for the first time since the killings started on New Year’s Day, said he was unaware that the IGP had flouted his orders. According to the state government, the IGP spent only one day in the state and then proceeded to Nasarawam – a development which was contrary to the directive of the President. While that has since fueled another debate and series of criticisms from Nigerians, has summoned the IGP to explain the reason behind his non-compliance.